UW Medicine gratefully welcomes gifts made in memory of or in honor of your family, friends or mentors. Can I set up a tribute page online to share with friends and family? Just fill out a short form, and our staff will create the page for the person you are paying tribute to. You will receive an email once the page is complete, giving you access to the page and your own URL to share with friends and loved ones. View a sample tribute page. 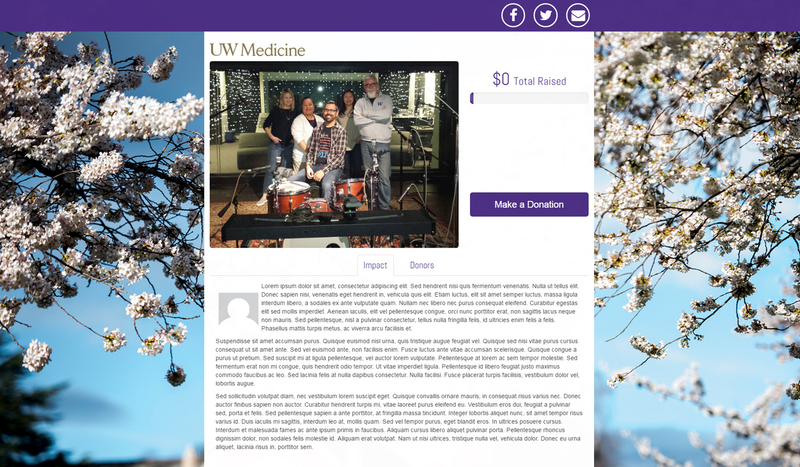 You may make your gift online, by calling us at 206.543.5686 or by mailing a check to UW Medicine Advancement, Attn. : Gift Processing, Box 358045, Seattle, WA 98195‐8045. Please include the name of the person you’re paying tribute to, and, if you know it, the name of the fund being used to honor them. Please reference this information when making your gift. How do I mention UW Medicine in an obituary? Will we notify the family? If you give us the name and address of the next-of-kin (or the name of the person you’re honoring), we will be sure to let them know. Thank you for thinking of UW Medicine.